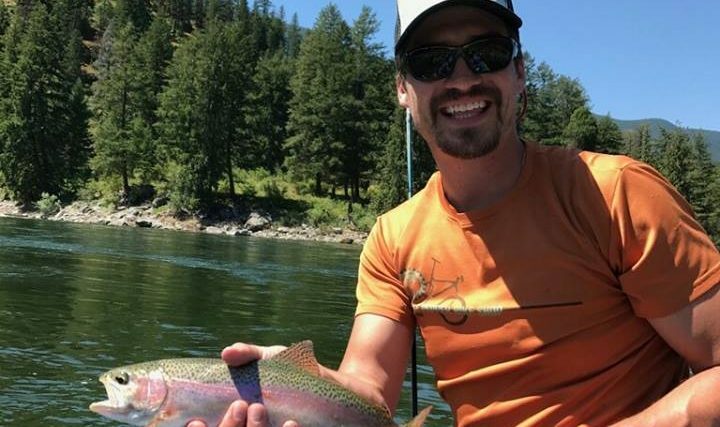 Coeur d’Alene Adventures offers waverunner rentals for Lake Coeur d’Alene only! The waverunners are housed at a marina and on the water! So, there is no need to transport around town. We offer a $45 delivery to any dock on the lake which is a great deal and service that we have found people love. 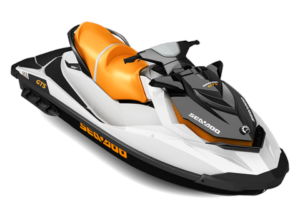 We use Seadoo Waverunners. Half day rentals are 10-2pm and 2-6pm. Full day rentals begin at 8am, 9am, or 10am. 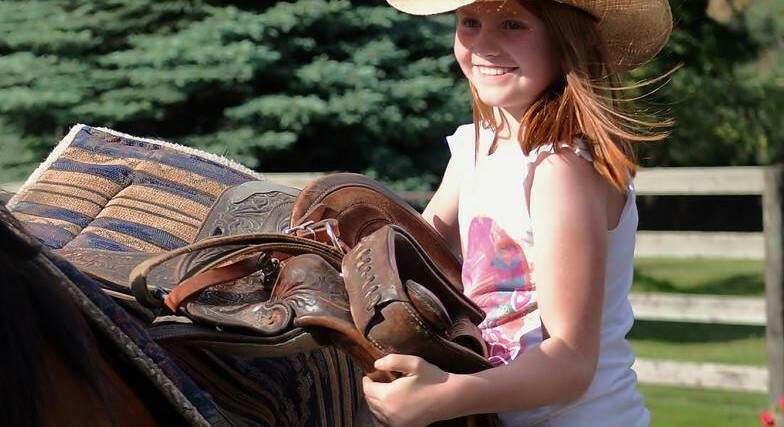 You can place your reservation for a half day or full day rental online at any time. 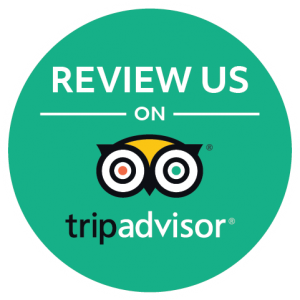 We will review our delivery and schedule and confirm your reservation and details with you! Rentee Information: Primary lessee must be 21 years of age and operators must be 18 years of age. We do require a brief tutorial on power boating and will orient you with your waverunner. You are not permitted to use towables behind the waverunners. In accordance with state laws you may not wake jump or operate within 200 feet of shore or another vessel. Never under any condition allow the waverunner to turn upside down. If it does turn upside down upright the waverunner and call us immediately so we can drain the engine compartment and minimize damages. If the impeller clogs with debris, shut off the engine and call us immediately. 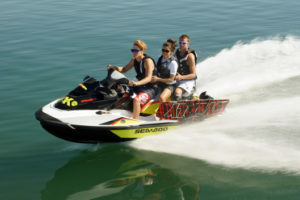 Discounts: We offer 10% multi-day rental and 15% off for 2 waverunner rentals. $25 the first day, $5 for each additional day – This exempts you from any deductible with our company should something happen. Delivery Gas/Fees: For your convenience we can deliver to any dock on the lake! Two boats are required for each delivery, the delivered boat and the “runner boat”. How it works: the renter is responsible for the spent gas in the delivered boat but is not responsible for the gas in the runner boat. The delivered boat will leave port from our location with a full tank of gasoline. We are not responsible for the gas the delivered boat consumes in the delivery process. On delivered boat pick ups we fill the tank at our location and charge the remaining gas to the customer. 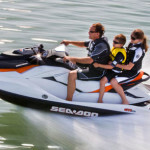 Read some safety ideas and how to operate a waverunner here.